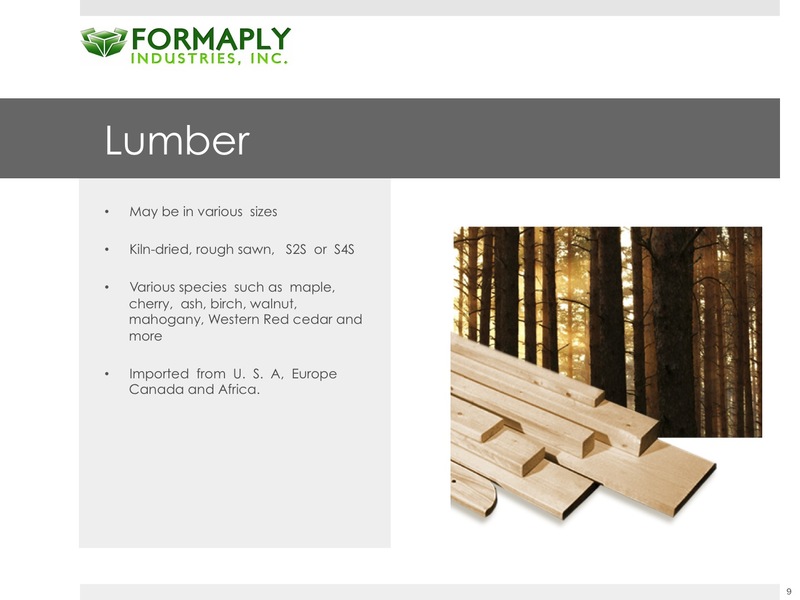 Formaply's long experience in wood and its long-established, exclusive distributorships and representations with over 50 mills and factories worldwide, has enabled the company to provide the construction and furniture industries around the Philippines through branch offices & warehouses in Quezon City, Cavite, Cebu, and Davao. 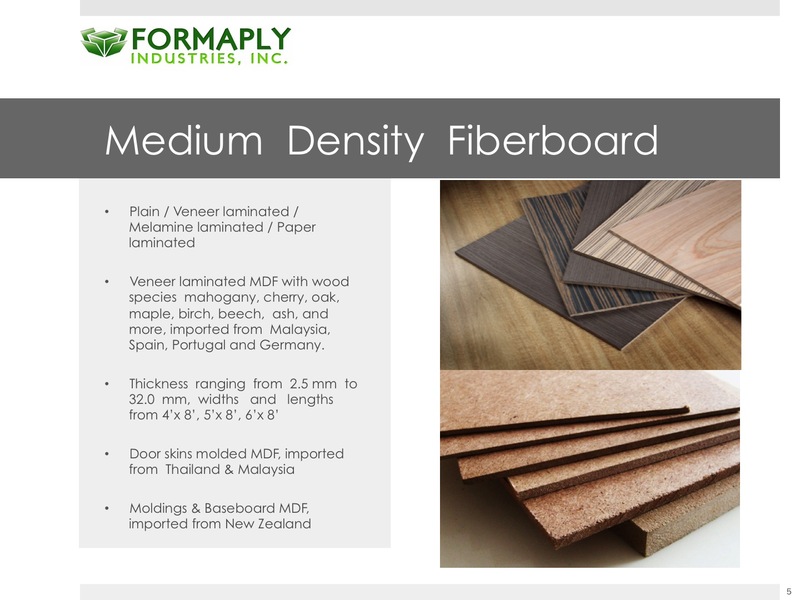 The company's depots maintain a substantial inventory of medium density fiberboard (mdf), plywood, particleboard, hardwood and softwood lumber, veneers, and other wood-based products which it imports together with its Hong Kong-based affiliate, E & V International Ltd., from Australia, New Zealand, South Africa, Europe, Malaysia, Indonesia, Thailand, and the United States. E & V International, for its part, warehouses stocks in the New Territories that are eventually sold to China, Vietnam, Thailand and the Middle East. 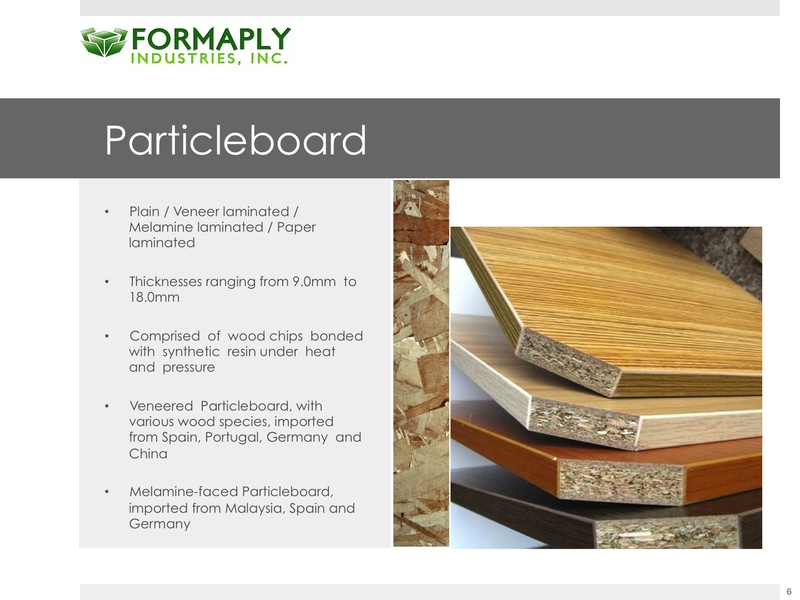 As a result of their combined volume purchases, Formaply and E & V have been provided better prices by their foreign suppliers which are then passed on to various customers in the Philippines.